Get the most from your R Series® resuscitation platform with OneStep Electrodes for adults and pediatrics. OneStep Complete Electrodes for adults offer high-current defibrillation and capture CPR quality. These electrodes can also be used for monitoring and for cardioversion, and to deliver constant-current pacing—without the need for a separate three-lead ECG cable. OneStep Pediatric CPR Electrodes provide the only CPR support for children under 55 pounds, while also enabling defibrillation, pacing, and cardioversion. When pediatric electrodes are attached, the R Series automatically reduces the starting energy to 50 joules to ensure safe defibrillation. OneStep Electrodes can remain pre-connected, even during a 30-joule shock test, because of a patented dual-circuit design. 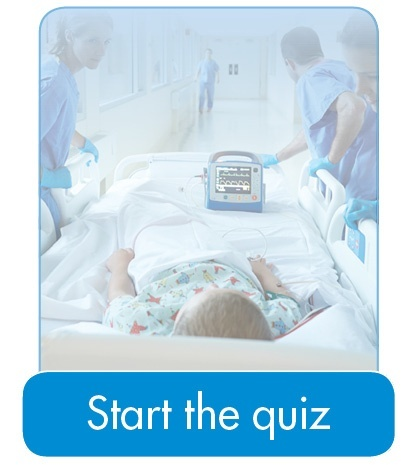 There is no need to disconnect the electrodes to test the defibrillator, meaning readiness is not compromised.